It works like a charm, but it's not my favorite solution. I need a Swifty project, not a combination with Objective-C. So don't I try to make something simpler and easier for me and others. Finally, I did it. Simple idea, create a button with gradient background, fill it with a solid color view, and the padding to the button bounds is the border width. (1) - The most important thing here is the order of the gradient layer and background view. The title label will be overlapped and when we use addSublayer or addSubview. (2) - backgroundColor: the view property from UIKit. 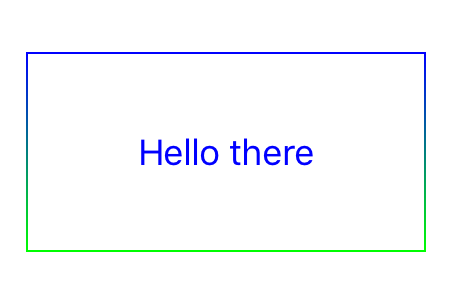 (3) - borderWidth is new property, we will use it every time re-setupView. Now is time to create the rounded corner. Every time we set the radius or backgroundColor, setupView called. So that, the gradientLayer and backgroundView are added many times. Keep an instance and remove it every time view setup. But, no gradient border appears. 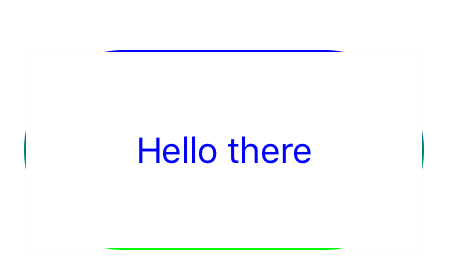 The border width still zero. We need to give a non-zero value to borderWidth and setupView again. Feel free to comment, suggest, create pull request or open issue.